With spring training upon us, it’s time to welcome back our old friend, The 30. Every Monday during the regular season, this column will take a close look at a few teams making headlines. But today, as a treat for everyone who’s (almost) made it through this cruel, frigid, never-ending winter, we’re going bigger, ranking and examining all 30 clubs. Since the calendar has turned to 2015, we’re starting off fresh. Last year’s results don’t matter — sorry, Giants fans — and all teams are ranked based on how they look coming into the spring. In ESPN The Magazine’s recent “Great Analytics Rankings” feature, the Phillies came in dead last among every team in the four major sports. While Philly’s last-place ranking in this edition of The 30 isn’t strictly a result of the team’s GAR standing, there’s certainly a correlation. Of course, other factors have contributed to Philadelphia’s recent fall from grace, too. Core players like Ryan Howard got old and injured, Roy Halladay retired, and the farm system failed to produce the kind of front-line talent needed to bridge success from one generation to another. As bad as things seem, however, subtle changes are afoot: After being hired away from MLB’s labor relations department two years ago, Philly’s analytics head, Scott Freedman, has built up the kind of proprietary database that successful clubs like the Oakland A’s and Boston Red Sox have had for years. Meanwhile, GM Ruben Amaro Jr. finally parted ways with one of the team’s former stars when he dealt shortstop Jimmy Rollins to the Los Angeles Dodgers in December. The Phils aren’t going anywhere this year, but with a new crop of promising prospects like shortstop J.P. Crawford on the way, and the hope for a blockbuster return whenever they finally trade staff ace Cole Hamels, the building blocks might soon start to fall into place. 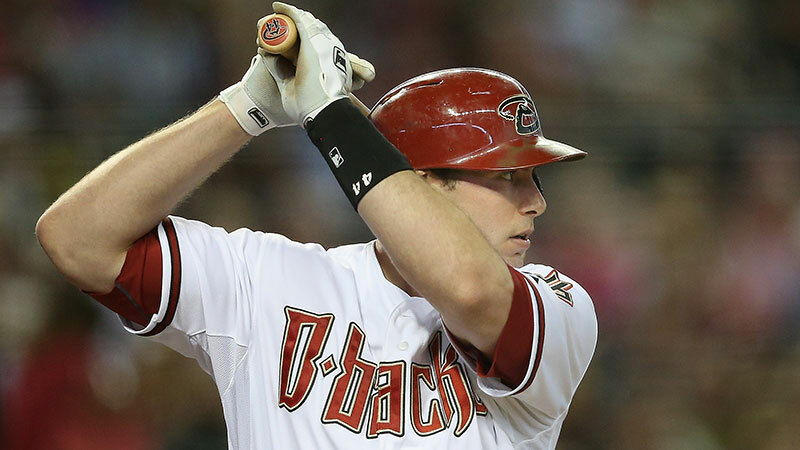 There are reasons to expect improvement on Arizona’s league-low 64 wins last season: If first baseman Paul Goldschmidt can stay healthy, the club will get 50 more games from one of baseball’s 10 best players. Left fielder Mark Trumbo, who missed 74 games last year, could blast 30 or more homers in a full season. High-priced Cuban signee Yasmany Tomas offers big-hitting potential at the hot corner. Patrick Corbin, the young left-hander who had a breakthrough season in 2013 and then missed all of 2014, could return from Tommy John surgery around Memorial Day. But even if Corbin returns healthy and humming, there’s a good chance that Arizona’s starting rotation will be the worst in baseball. Top prospects like Archie Bradley and Braden Shipley could get big league call-ups later in the year, but they won’t have any real impact until 2016 at the earliest. GM Dave Stewart faces a huge rebuilding task. The rotation will feature five talented starters, all of them 27 or younger … and that’s about it as far as any reasons for optimism in Atlanta go. Other than first baseman Freddie Freeman, the lineup lacks any above-average hitters, so the pitching staff probably won’t propel the Braves’ overall 2015 performance anywhere beyond “below-average.” Want to bet on the worst offense in baseball? Give me the Braves; you can have the field. Squint hard enough and you can see the start of something good here. Second baseman Brian Dozier is coming off a monster breakout year at age 27. Right fielder Oswaldo Arcia was one of just three major league players 23 or younger to hit 20 or more homers last year.1 First base slugger Kennys Vargas will anchor the middle of the lineup in his age-24 season, his first full season in the majors. And then there’s the sky-high, future-MVP-type potential of top prospects Byron Buxton in center field and Miguel Sano at third. Now, if only Minnesota could develop some pitching. In the meantime, management will continue to throw darts at undervalued talents and hope for more Phil Hughes–level scores: The three-year, $24 million deal that Minnesota gave the ex-Yankee in 2014 was such a steal that the Twins ripped it up and handed their 2015 Opening Day starter a brand new five-year, $58 million contract a few days before Christmas. There’s a version of the future in which the Rockies threaten 90 wins. Getting 150-plus games from shortstop Troy Tulowitzki, outfielder Carlos Gonzalez, and third baseman Nolan Arenado could be worth eight to 10 more victories than the team saw last season.2 Plus, there’s more excitement swirling around Colorado’s young pitchers than we’ve seen in years, with Tyler Matzek looking to build on a promising rookie season and Eddie Butler and Jon Gray on the brink of snagging full-time rotation gigs. And don’t underestimate the positive impact of pulling Wilin Rosario off the catcher position, where he’s been one of the worst receivers the game has seen in decades. Now, with a starting rotation that remains undermanned for what feels like the 56,000th year in a row and so many fragile key players, a surprise postseason run certainly isn’t likely. But if the 23-year-olds, Butler and Gray, make good early and the delicate Tulo-CarGo-Arenado trio somehow manages to stay on the field for the entire season, the Rockies could be this year’s out-of-nowhere squad that rides 99th-percentile luck to a big season. Only a couple teams look likely to be truly awful this season. Despite the low ranking, the Brewers slot in as one of many teams that project to win 70-something games. They shipped off fifth starter Marco Estrada to Toronto for a badly needed lefty on-base threat in Adam Lind, and they sent nominal ace Yovani Gallardo to Texas for three prospects, but most of last year’s 82-win squad otherwise returns intact. If this ranking proves to be too low, you’ll likely have Estrada’s and Gallardo’s replacements to thank. The most intriguing arm to watch will be Mike Fiers, who has been a better-than-a-strikeout-per-inning guy throughout the minors and the first 223.2 innings of his big league career. I’ll be writing more about him, but I’ll say this for now: Yes, starting pitchers who throw sub–90 mph fastballs and strike out that many batters are really, really rare, but there are multiple reasons to believe Fiers will be a lot closer to the 2.13 ERA monster of 2014 than the 7.25 ERA disaster of 2013. After four straight 90-plus-win seasons, the Rangers fell apart during an injury-riddled, historically unlucky 67-win disaster in 2014. 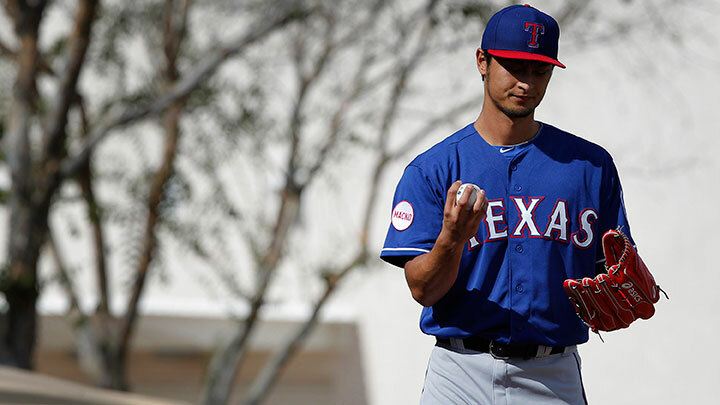 First baseman Prince Fielder missed 120 games, utility man Mitch Moreland missed 110, outfielder Shin-Soo Choo missed 39 while also playing hurt for much of the season, Yu Darvish and Derek Holland combined to make just 27 starts, and closer Neftali Feliz threw only 31.2 innings. If Texas can get its projected no. 1, no. 3, and no. 5 hitters, its top two starters, and its closer healthy for a full season, that alone could swing the team from the cellar to back above .500. With young players like second baseman Rougned Odor wielding potential-breakout talent and Gallardo adding depth to the rotation, if Texas can somehow hit all those health marks and add the incredible Joey Gallo to the big league roster this summer, look out. Then again, that’s a lot of ifs. Color me concerned about the defending AL champs. The loss of top starter James Shields to the San Diego Padres could hurt in multiple ways: Gone is his sheer skill at recording outs, and so is his heavy workload, which eased the burden on the rest of the rotation and, by extension, the bullpen. Newly signed Edinson Volquez’s mushy peripherals make the starter a prime regression candidate too. What’s more, the Royals spent real money on first baseman Kendrys Morales and outfielder Alex Rios, but there’s a decent chance both of them are nothing more than replacement-level players at this stage of their careers — cold comfort for an already mediocre offense. Check back in a month, but right now the Royals look like a possible fourth-place team in a really deep division. It’s easy to be cynical about Houston’s 10(? )-year plan, given how ugly the last six years have been, but the offseason proved quietly successful, raising hope that the Astros might even threaten the .500 mark this year. The always underrated Luis Valbuena should be a big offensive upgrade at third base, while the signings of quality right-handers Luke Gregerson and Pat Neshek improve a lackluster bullpen, which is an area most teams don’t bother to address until they’re ready to win some games. In the footsteps of last year’s surprise breakouts for starters Dallas Keuchel and Collin McHugh, keep an eye on the newly acquired Dan Straily. The 26-year-old right-hander has scuffled through much of his early major league career, but he showed flashes in Oakland, and he carved up the minors with gaudy strikeout numbers at every level. Ah, yet another team that could rebound if a couple of key players can stay healthy. First baseman Joey Votto, having missed 100 games and looking decidedly un-Votto-like when he did play last year, is the obvious bounce-back candidate, but don’t sleep on Tony Cingrani. The Reds probably did the right thing by sending starters Mat Latos (a free agent after this season and an injury concern) and Alfredo Simon (big, honking regression candidate) away in trades, opening the door for Cingrani, who was a popular breakout pick last year before seeing his ERA balloon by a run and a half. His swinging strike rate trend is headed in the wrong direction, and he’s given up far too many walks and homers so far in the bigs. However, in about one full season’s worth of major league play, he’s fanned 190 batters in 173 innings. When Cingrani’s going well, he’s generating plenty of whiffs with his fastball and ample grounders with his changeup. Backed by a monstrous minor league résumé and entering his age-25 season, better results might be nigh for the Illinois native. Right now, the Yanks look like the worst team in the AL East. Every starting position player not named Didi Gregorius sits on the wrong side of 30, and many of them just aren’t very good. The rotation will lean heavily on three pitchers coming off injury-marred seasons — CC Sabathia, Masahiro Tanaka, and Michael Pineda — and the 34-year-old Sabathia might be cooked even if he does return to full health. As evidenced by the more than 1,000 comments on this River Avenue Blues post about 19-year-old Cuban sensation Yoan Moncada’s decision to sign with the Boston Red Sox instead of New York, the Yankees fan base is not in a good place right now. Meanwhile, in Flushing, Mets fans are still pining for that shortstop of their dreams. Let’s hope light-hitting incumbent Wilmer Flores took up macramé or scrapbooking over the offseason — anything to avoid the barrage of criticism foisted upon him and GM Sandy Alderson. As wonderful as a magically healthy Tulowitzki in exchange for two C-minus prospects might sound, there’s real cause for Tulo-less optimism here. 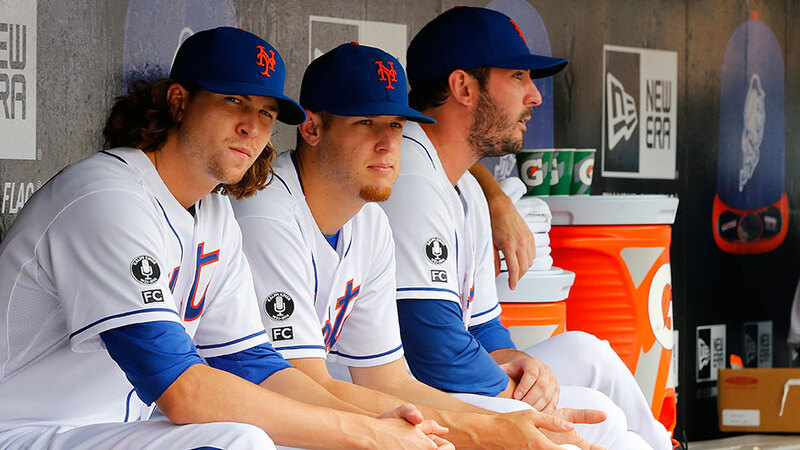 As a healthy Matt Harvey leads a deep rotation that can’t find room for dynamic prospects Noah Syndergaard (who’s ready for the majors) and Steven Matz (who’s getting close), the Mets seriously might have too much pitching. With all of those arms, catcher Travis d’Arnaud’s enticing combination of power and defense, and the prospect of fattening up on 37 games against the potentially terrible Phillies and Braves, the Mets could be stealth wild-card contenders this year. OK, OK, hear me out. Losing third baseman Pablo Sandoval to Boston is going to sting, and questions surround the starting rotation: Tim Hudson turns 40 this year. In his age-34 season, Jake Peavy is no sure thing to repeat last year’s early-season stint with the Red Sox, let alone his superior performance after being traded to San Francisco. Matt Cain is coming off a major injury. And while no one wants to say it, you have to wonder how well Madison Bumgarner will fare after firing nearly 270 innings between Opening Day and his Superman turn in Game 7 of the World Series. There’s all that, plus the likelihood of natural regression after a season in which nearly everything went right, in addition to the magical power of the inexplicable #EvenYear phenomenon.3 Whatever reason you settle on, the bet here is that the reigning champs won’t be back in the postseason to defend their crown. The Rays won 77 games last season, and with the loss of ace David Price at the trade deadline and the offseason departures of jack-of-all-trades Ben Zobrist, right fielder Wil Myers, left fielder Matt Joyce, shortstop Yunel Escobar, and starter Jeremy Hellickson, it might seem reasonable to expect Tampa Bay to be even worse in 2015. After all, manager Joe Maddon’s gone, too, and who knows what kind of adverse, hard-to-quantify effects his departure to Chicago will have on what was the AL’s lowest-scoring team in 2014? At the same time, 29-year-old third baseman Evan Longoria is a prime bounce-back candidate after a disappointing 2014. Myers, who also struggled last year, will be replaced by organization favorite Steven Souza, who, according to one non-Rays executive I spoke to, might be straight-up better than Myers. Even Price’s departure might not be the blow it initially appeared, as Drew Smyly, who came over in the Price deal, looked great after changing his approach upon arrival in Tampa, and young right-handers Alex Cobb, Chris Archer, and Jake Odorizzi have all shown a ton of potential. In other words, the Rays won’t be bad, won’t be great, and will probably finish, as this ranking suggests, somewhere right around .500. Leave it to Billy Beane to see 93 wins a year and three straight trips to the playoffs only to conclude that everyone short of Stomper should be blasted into space. Even without third baseman Josh Donaldson, starter Jon Lester, and the rest of the departed, this is still a playable squad that will benefit from Ben Zobrist’s on-base skills, defense, and versatility, along with the serious potential from younger pickups like third baseman Brett Lawrie and starter Jesse Hahn. One serious area of concern, though: Losing Donaldson, first baseman Brandon Moss, catcher Derek Norris, and left fielder Yoenis Cespedes will hurt a team that’s been secretly great in the power department. Despite playing in a lousy park for home runs, Oakland blasted more round-trippers over the past three years than any team other than the Orioles, Blue Jays, and Yankees. Expect the homer-happy trend to end in 2015. The projection systems have been notoriously pessimistic about Baltimore over the past three years, and they’ve been spectacularly wrong in two of them. Despite missing the mark in 2012 and 2014, both PECOTA and FanGraphs expect the Orioles to finish last in the AL East in 2015. For a team that’s coming off a 96-win campaign and that lost big bopper Nelson Cruz and Nick Markakis over the winter but little else, predicting such a drop-off seems incredibly harsh. Healthy seasons from third baseman Manny Machado and catcher Matt Wieters could do wonders to mitigate Cruz’s departure. First baseman Chris Davis isn’t going to undercut the Mendoza Line again. Newly acquired outfielder Travis Snider looks a lot like one of Dan Duquette’s patented Troy O’Leary–style scrap-heap finds. And Buck Showalter’s bullpen handling and other managerial tinkerings always seem to add another few wins to the ledger. With the AL East looking like a crapshoot this year, the O’s, if healthy, could easily repeat as division champs — and these rankings could turn out to be way too pessimistic about what has the potential to be a pretty good ballclub. I love GM Rick Hahn’s offseason aggression, especially his ability to address and upgrade the rotation (Jeff Samardzija), the bullpen (David Robertson, Zach Duke), the lineup (outfielder Melky Cabrera, designated hitter Adam LaRoche), and the bench (catcher Geovany Soto, utility man Emilio Bonifacio) all in one offseason. I love Chris Sale, assuming that he stops unloading trucks and that this recent foot injury doesn’t hinder him for more than a start or two. I love underrated left-hander Jose Quintana, who’s exactly the kind of mid-rotation starter you need to provide quality bulk innings and help the bullpen avoid burnout. I love center fielder Adam Eaton’s speed, defense, and OBP game; if he can make it through 150 games, I see him taking another step forward this season. And I’ve loved first baseman Jose Abreu since he was putting up Paste numbers back in Cuba. The projections might disagree, but watch out for these guys. Over the past few seasons, there’s been a lot of buzz surrounding the decline of right-handed power in the league. The numbers suggest that the idea is somewhat overblown, but that didn’t stop a bushel of teams from handing out big-dollar contracts or making high-profile trades for right-handed boppers. Whether or not there’s actually a big scarcity in righty power, the Padres are clearly all-in on the idea. GM A.J. Preller went on a wild shopping spree, bagging outfielders Matt Kemp, Justin Upton, and Wil Myers and catcher Derek Norris in the hopes of beefing up a historically anemic offense. The Padres will hit more thanks to their renovated lineup, they’ll be more entertaining, and they’ll probably win more, too — with the late signing of Shields also helping the cause from the mound. They’ll also trot out one of the weirdest rosters anyone has assembled in years, one filled with outfield muscle but no real center fielder, plus (mostly) the same banjo-hitting infield we saw last year. It’ll be fascinating to see how San Diego’s grand experiment pans out. The prevailing 2015 BoSox narrative suggests that the lineup will mash while the rotation’s extensive collection of no. 3 and no. 4 starters prevents the club from ever being truly dangerous. But the player who really worries me is Dustin Pedroia, whose power has evaporated over the past couple years, thanks to a litany of hand injuries. Spending big bucks for Hanley Ramirez and Sandoval should theoretically mitigate the possibility of Pedroia’s offseason hand injury not fixing his power problem, but I’m more bearish on those moves (especially the Hanley deal) than most. Even with the question marks surrounding Pedroia, Ramirez, and Sandoval, though, this should still be a fun lineup to watch, especially if outfield prospects Mookie Betts and Rusney Castillo play up to their potential. As for the starters, we can credit the Boston front office’s restraint in avoiding six- and seven-year contracts for pitchers who almost always crash and burn, but also acknowledge that a rotation of Rick Porcello, Wade Miley, Justin Masterson, Clay Buchholz, and Joe Kelly will always make winning a pennant an uphill climb. We’ve already mentioned a couple of teams that often exceed expectations, but the Pirates might be the “way better than we thought” poster boys. Of course, that’s not to diminish the talent on the roster: Andrew McCutchen might be the best position player in the National League, and the supporting cast is young and talented.4 However, the speed at which the Buccos have become a signature sabermetric organization is startling, with Dan Fox, Mike Fitzgerald, and other quants using innovative methods to improve the ballclub, making a believer out of former old-school baseball advocate Clint Hurdle in the process. But with supremely valuable catcher Russell Martin gone and the expected improvement of postseason hopefuls like the Cubs, Padres, and Marlins, the Pirates will have to pull a lot of the right levers if they want to make a third-straight playoff appearance. After one of the longest successful runs in baseball — they’ve had one sub-.500 season since 2006, and they’ve won the AL Central each of the past four years — there’s now some real bust potential with this Detroit team. The Prince Fielder megadeal was a disaster, Justin Verlander’s contract is trending in that direction, Miguel Cabrera’s could be soon, and Victor Martinez’s might go that way too. Given the fate of all of those deals, you can understand the Tigers passing on spending $210 million (or more) to retain Max Scherzer, but the dual losses of Scherzer and Doug Fister (I’ll never understand that trade) over the past couple years, combined with Verlander’s regression and Anibal Sanchez’s injuries, have eaten into what was once baseball’s best rotation. David Price will obviously help bolster the decaying pitching staff. Outfielder Yoenis Cespedes should bring some juice to the offense in his first season with the club, and 22-year-old third baseman Nick Castellanos has the talent to break through one of these years. But the Tigers look weak in the bullpen yet again. They also lack the depth to deal with significant injuries, which might already be a problem, as Martinez could start the year on the disabled list and Cabrera’s wonky ankle is no sure thing to be ready by Opening Day or to be 100 percent throughout the season. Considering all of those issues, along with the upstart potential of the White Sox and Indians, a fifth-straight AL Central title would be Detroit’s hardest-fought pennant yet. Count me as a believer — and not just for Marty McFly–related reasons. Like their crosstown rivals, the Cubs made the big moves you’d want to see from a team eager to win, along with a bunch of vital, smaller, subtler ones. Jon Lester gives the Cubbies a legitimate ace, while bringing back Jason Hammel on a low-cost deal retains important depth for a rotation that looks to be strong at the top but also respectable on Days 3 through 5. Miguel Montero offers both an offensive upgrade and huge defensive gains at catcher, while the additions of outfielder Chris Denorfia and catcher David Ross should fortify the bench. 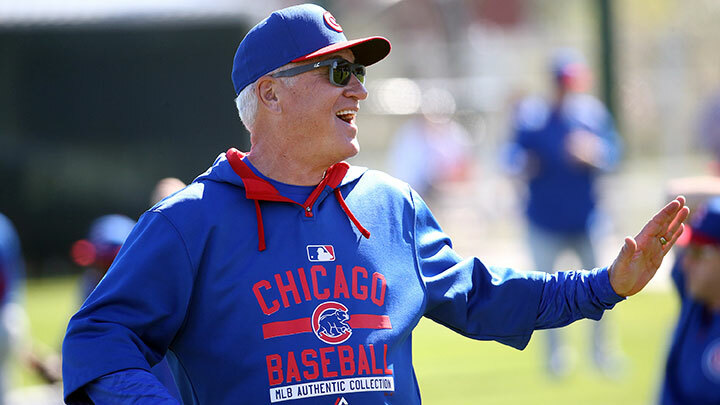 Oh, and they also brought in some dude named Joe Maddon to manage. The great wild card here is how the young guys fare. Right fielder Jorge Soler will look to build on an impressive major league debut, and second baseman Javier Baez will hope to channel his incredible bat speed into something more than a mess of strikeouts with the occasional tape-measure home run sprinkled in. As for 23-year-old third-base super-prospect Kris Bryant, mark your calendars for just after Tax Day, which is when the Cubs will be able to call him up and still maintain control of his services for one extra year before free agency. He’s going to mash. I wrote about the Marlins at length in January, so check out that piece for a longer look at all the reasons to be bullish on Miami. But let’s underscore that optimism here: The Marlins have the best outfield in baseball, they upgraded their infield, they’re getting a very good pitcher in Mat Latos to anchor the rotation, starter Jose Fernandez could be back by June after undergoing Tommy John surgery last May, and Miami will get to feast on the brittle bones of the Phillies and Braves in intra-division play. If you remember that Back to the Future Part II prediction everyone keeps talking about, the big reveal is that the Cubs finally break their World Series drought in 2015 by beating … Miami. Obviously, the Cubs and Fish play in the same league,5 so that World Series matchup can’t happen. Still, a dance-off between these two teams at some point during the National League playoffs is a very real possibility. When I first started digging into these rankings, two things immediately jumped out at me: (1) There don’t appear to be any truly great teams in the American League, and (2) there certainly aren’t any in the AL East. Although this opinion could change quickly, I currently like the Jays just a little bit more than the field. The additions of Donaldson and Martin give Toronto two more potent bats and two fantastic glovemen. That second point is a big deal after the Jays finished a disappointing ninth among AL teams in Baseball Info Solutions’ proprietary Defensive Runs Saved stat. On the mound, Marcus Stroman and Drew Hutchison look like rising stars, and electric homegrown arms Aaron Sanchez and Daniel Norris should get plenty of opportunities to shine, so Toronto’s run prevention could improve dramatically. Granted, it’s not all smiles and sunshine in Toronto: Michael Saunders’s recent knee injury plunges the bottom three of the order into a hellish wasteland until the newly acquired outfielder returns. Then again, winning teams always catch lucky breaks on their way to glory, and the Jays already got one with Saunders now expected back sometime in April, instead of at the All-Star break as initially feared. Look for the young arms to mesh well with Martin and for good things to keep happening in Toronto. The longest playoff drought in all of baseball might be ending soon. Allow me to pump the brakes on the Cardinals bandwagon. Adam Wainwright’s terrific 2014 numbers came with an ailing elbow that eventually required surgery in October and left some questions about just how long he can remain a Cy Young–caliber pitcher as he enters his age-33 season. Matt Holliday (35) and Yadier Molina (33 in July) are getting older and can’t remain at the top of their games forever. And we still don’t really know how outrageously talented right-handers Michael Wacha and Carlos Martinez will fare as every-fifth-day starters, with Wacha coming off an injury-stunted 2014 and Martinez potentially getting his first extended run at a full-time starting gig. Yes, they’re the Cardinals, they always seem to find a way, and they’re loaded with talent again this season — the Jason Heyward trade could be one of the best moves of the winter — but there are more questions than usual in St. Louis, as the teams ranked in the previous few spots aren’t too far behind anymore. With the Pirates vying for another playoff berth and the Cubs looking much improved, a third straight NL Central title is far from a sure thing. Now this is a bandwagon I will not be trying to slow down. Put it this way: Last year, the Indians won 85 games despite an injury-plagued Jason Kipnis flukishly hitting like a 75-year-old Rey Ordonez and the combination of first baseman Nick Swisher, utility man Mike Aviles, and outfielders Ryan Raburn, Michael Bourn, and David Murphy providing nearly 2,000 plate appearances worth of sub-replacement-level performance. Three of those five guys have been relegated to bench duty this year, while Bourn and Swisher still look to be significant contributors, albeit on a short leash. The addition of Brandon Moss plus a healthy Kipnis could significantly boost results for a team that finished seventh in the AL in runs scored and ninth in homers last year. Meanwhile, the rotation includes defending Cy Young winner Corey Kluber alongside not one, not two, but three starting pitchers who look like prime breakout candidates: Trevor Bauer, Danny Salazar, and Carlos Carrasco. Combine the revitalized offense with a potentially fantastic group on the mound and you have an extremely dangerous club — one that might very well end Detroit’s AL Central reign. While Josh Hamilton’s relapse is undeniably sad on a human level, the cold baseball truth of it is that the Halos might actually be better off with C.J. Cron in the lineup. The 25-year-old bruiser swatted 61 homers and 87 doubles in 346 minor league games, and he should give the bottom of the order some needed pop. Other new faces include Andrew Heaney, the 23-year-old rookie left-hander and dynamite prospect who was acquired from the Dodgers6 for Howie Kendrick over the winter and figures to slot right into the rotation, and Josh Rutledge, the former Rockie now being asked to take over for Kendrick at second base and who could get replaced by another trade acquisition if the go-for-broke Angels aren’t happy with his work. Of course, these are all merely supporting players on a highly talented team coming off a 98-win season. We hear this Mike Trout guy might be pretty good. As with the Marlins, I recently wrote about the Mariners at great length, so I’ll keep this brief: As this ranking suggests, they might be the best team in the American League. Nelson Cruz isn’t going to hit 40 home runs again, as he did with the Orioles last year, but he sure as hell will help an offense that ranked 10th in the AL in homers and 11th in runs scored last year. Injury-prone first baseman Logan Morrison may or may not stay healthy, but the M’s will likely contend either way. If Morrison, or anyone else, is hurt or not pulling his weight, expect Seattle to get aggressive at the trade deadline. Keep an eye on the infield defense as an easy-to-overlook key to Seattle’s success. Alongside the sharp-fielding Kyle Seager at third, 25-year-old Brad Miller could be an asset at short in what’s expected to be his first full-time season as a starter. The pair will get plenty of opportunities to make an impact as the team’s top three starting pitchers — Felix Hernandez, Hisashi Iwakuma, and James Paxton — all posted ground ball rates above 50 percent last year. Starting with the trade that sent Matt Kemp two hours south on I-5, the Dodgers’ offseason moved in the opposite direction of the Padres’. While the Pads loaded up on big hitters with questionable gloves like Kemp, the Dodgers, who also kissed Hanley Ramirez good-bye, happily unloaded such defenseless mashers. The addition of the veteran pair of Jimmy Rollins and Kendrick should fortify the middle of the diamond, while 22-year-old rookie Joc Pederson enters the season as an instant, major defensive upgrade over Kemp and everyone else who tried to play center in Chavez Ravine last year. These small moves are all right out of new president of baseball operations Andrew Friedman’s playbook of defensive obsession. That all three of the new guys could also provide better-than-average bats and contribute on the basepaths only increases the team’s already outsize potential. They’re nearly everyone’s pick for the top spot, and, well, they should be. To get a sense of how good this team’s rotation is: The addition of Max Scherzer relegates Tanner Roark, who put up a 2.85 ERA in 198.2 innings last year, to a middle-relief role this season. The bullpen should also benefit from the addition of setup man Casey Janssen. 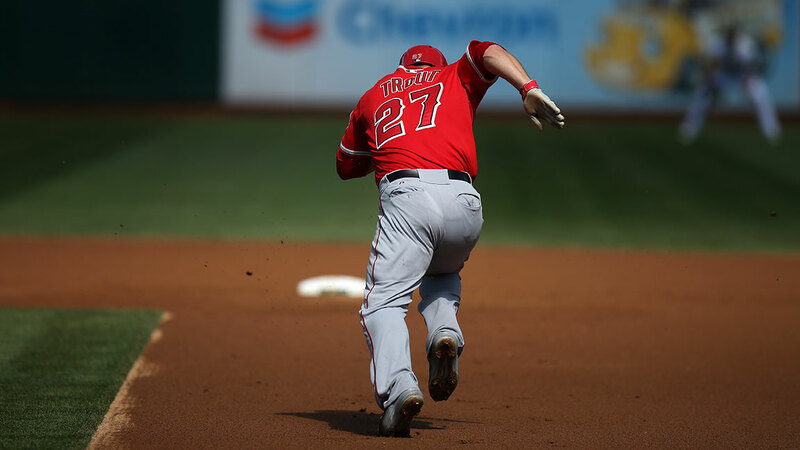 In the infield, those who’ve watched him are bullish on longtime third baseman Ryan Zimmerman’s health and his outlook as an everyday first baseman, while the underrated Yunel Escobar should help shore up the middle. Obviously, most eyes will be on Bryce Harper, who entered spring training vowing big things for both himself and his team this year, including the kind of loose talk of a ring that you don’t hear from most baseball players who aren’t 22 years old, outrageously talented, and unapologetically brash. The others were Mike Trout and Marcell Ozuna. As I wrote last year, the Rockies have made the playoffs both times Tulo’s played in 150 or more games. San Francisco won the World Series in 2010, 2012, and 2014. All eight projected hitters in the Pirates’ lineup are under 30. Something the makers of that movie couldn’t know, since there was no major league team in Florida at the time. Who had acquired him from the Marlins earlier that day in the Dee Gordon deal.